Having problems with your brakes? Get yourself down to FMG, we offer the fitting of brake discs, brake shoes and brake pads Ivybridge using quality parts and competitive rates. Usually before your brake pads are completely worn away, a light on your dashboard will illuminate or start to flicker warning you that your brake pads are near the end of their service life. Don’t ignore this light! When your brake pads have completely worn away, it will cause metal on metal contact between your brake pads and discs. We also offer a free brake inspection for your peace of mind, should something not quite feel right with your cars braking system. So don’t ignore that warning light or strange noise coming from your car every time you brake, let us carry out a complimentary brake inspection while you wait. Filham Moor Garage was established in 1985, we’ve served the local residents of Ivybridge and surrounding areas for over 30 years. We believe in good old fashioned customer service, only use quality parts and all of the work we carry out is guaranteed. Less than 5 minutes walk from the town centre. Same day service for most repairs & maintenance. One of the most affordable garages in the area. Really, a free brake inspection? Yes, we want to keep the people of Ivybridge safely on the road. This is why we offer a free brake inspection for new and existing customer’s. We will perform a full visual inspection of your braking system, including pads, shoes, discs hoses and handbrake. *Please note that inspection of seized brake parts are not covered via our free inspection. Yes, our free brake inspection offer is only available by pre-booking with us. 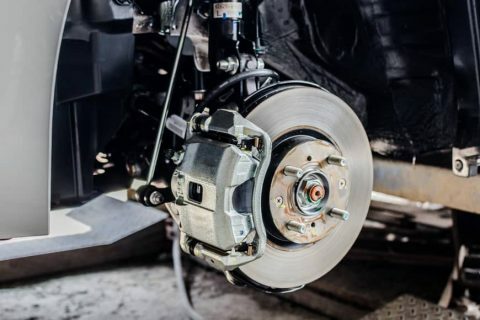 Depending on the complexity and condition of your brakes, the inspection can take anywhere up to an hour.